The affordable housing community showed up in droves to the 2018 Housing California Conference. With a record attendance, it was clear to everyone the affordable housing crisis has gained significant ground. Six candidates for California State Governor attended this year’s conference. They are all fully aware of the affordable housing crisis. There was a variety of solutions. From expediting the development process to bringing back redevelopment. We will soon find out the State’s stance on tackling the affordable housing crisis. This year’s conference was also an opportunity to brush up on the latest trends. The workshops were plentiful. It was a great opportunity to learn about new and upcoming funding sources. HCD has relief coming are way in SB2 and SB3. Plus, an additional $2 billion will be available for supportive housing. We may want to brush up on TCAC’s new Opportunity Map. Benefits to projects located within high opportunity areas include site amenity points, increase in threshold basis limit, and a tiebreaker increase. Out of the many participants who guessed correctly, we chose one lucky winner. Congrats to Anna Lam who received a $100 Amazon Gift Card. This year’s Housing California Conference was the perfect blend of innovation and education and we look forward to seeing what next year has in store. The 2017 Legislative Housing Package passed 15 bills that enact new housing regulations in California. Assembly Bill (AB) 879 and Senate Bill (SB) 35 placed increased importance on Housing Element Annual Progress Reports (Annual Reports) that are due to HCD by April 1 each year. 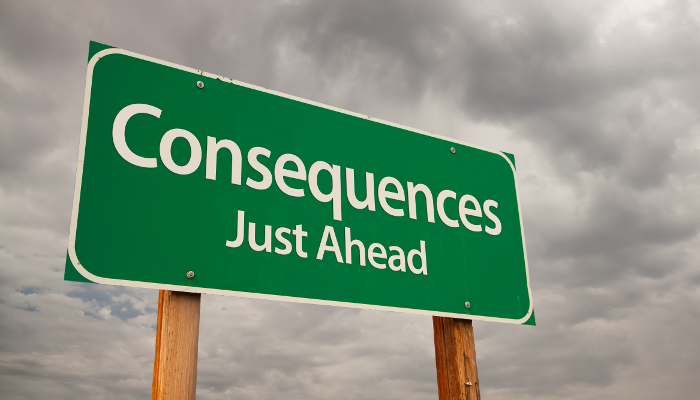 New consequences for failing to complete Annual Reports include court sanctions and losing local control over affordable multifamily housing development entitlements to a new streamlined approval process. If your jurisdiction is behind on its Annual Reports, it could lose local control over affordable multifamily housing development entitlements as early as this year. · Charter cities used to be exempt from submitting an Annual Report. They must now submit an Annual Report beginning with the 2017 report due April 1, 2018. · Failure to submit an Annual Report within 60 days of the due date could result in court orders to compel compliance, and court sanctions if not completed as ordered. · Failure to submit the Annual Report for two or more consecutive years triggers SB 35 provisions streamlining affordable multifamily housing development approvals, losing significant local control over the entitlement process. HCD will use new Annual Report data to determine if a locality has not issued enough building permits to satisfy its RHNA allocation by income category for a reporting period, subjecting it to SB 35 streamlining provisions until the next reporting period. 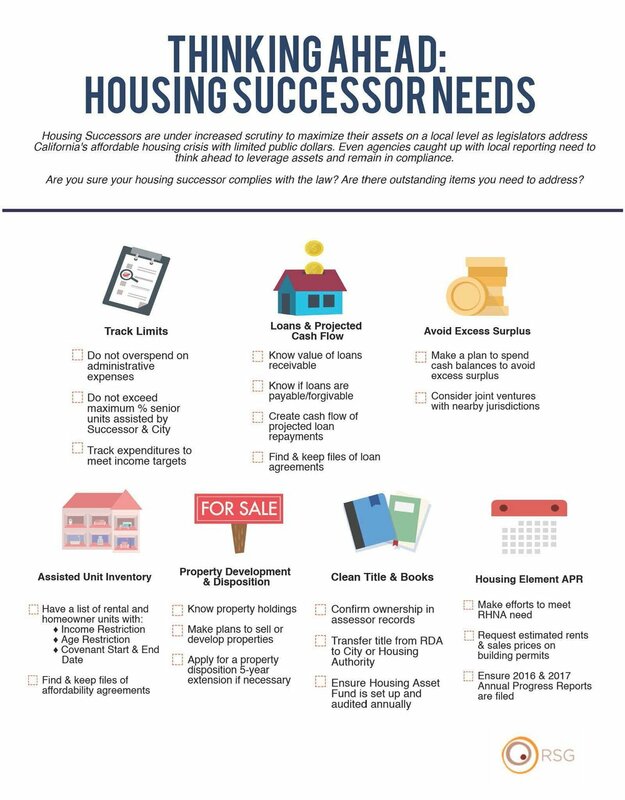 Annual Reports due by April 1 must continue to include the Housing Successor Annual Report for redevelopment housing successors that are not Housing Authorities (Housing Authority reports are due by October 1 and December 31). Contact Suzy Kim, Senior Associate, at skim@webrsg.com or 714.316.2116, if you have questions or need assistance preparing your Annual Report to retain local control over housing development and avoid court sanctions. September 28 - RSG Principal, Hitta Mosesman (resume here), was a speaker on the framing panel at the Orange County Housing Summit at Chapman University. Ms. Mosesman presented on the effect ecommerce has had on land use and housing development in Orange County. October 20 – RSG Principal, Jim Simon (resume here) was the guest instructor at the City of Anaheim’s Project Manager University speaking on the topic of Economic Development Financing Fundamentals. October 24 - Jim Simon and Dominique Clark, Associate, (resume here) led a Real Estate Development and Reuse class at the Economic Development Certificate Program hosted by CSU Fresno and CALED. This is Mr. Simon’s 4th time teaching this course. February 2018 (exact date to be determined) – Hitta Mosesman will participate on a panel on recreational cannabis and unfunded pension liabilities at the California Society of Municipal Finance Officers (CSMFO) 2018 Annual Conference in Riverside California.